Bahia is a province of Brazil on its northeastern coast and is the size of the country of France. From the sixteenth century through the 1850s, at least 1.2 million African slaves entered Brazil through Bahia, many of those through the major port city of Salvador. Dale Graden's study is divided into four parts. He first examines the cause of the demise of the slave trade to Bahia by 1851. International political pressures combined with internal slave resistance forced an abrupt decline in slave importations into the province. Second, he traces Bahia's abolitionist movement through the enactment of the Law of the Free Womb in 1871, an unpopular war with Paraguay, and protests led by African Brazilian intellectuals. Part three focuses on the role of Candomblé, an African religion practiced among the Africans of Brazil, in ending slavery in the area. Slave resistance and committed abolitionists also helped to force the abolition of slavery in 1888. The final section demonstrates how former slaves worked to protect and retain their hard-won liberties. 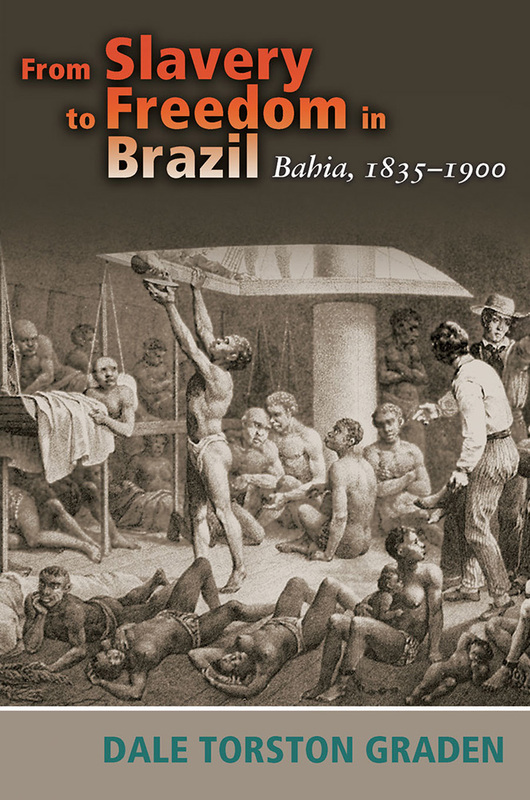 From Slavery to Freedom in Brazil adds to our understanding of slavery and emancipation in Brazil and in Bahia. Dale Torston Graden is associate professor of history at the University of Idaho, Moscow.